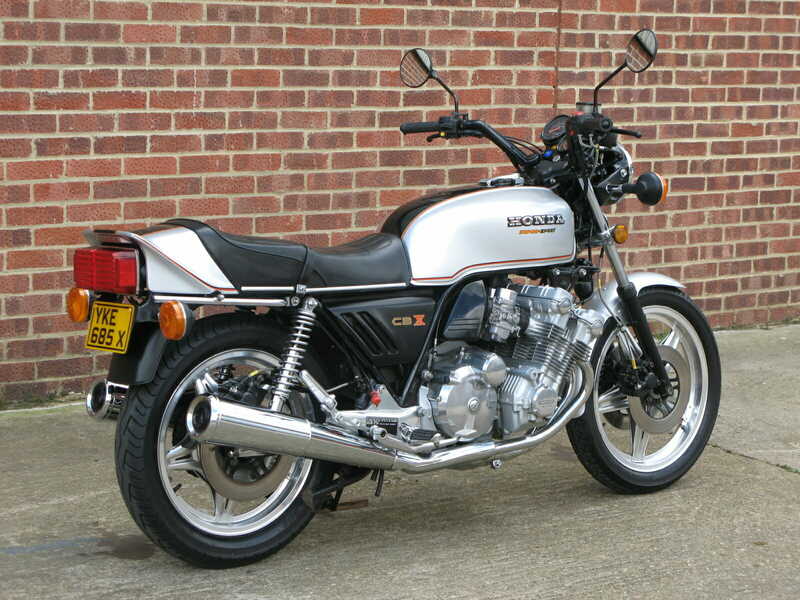 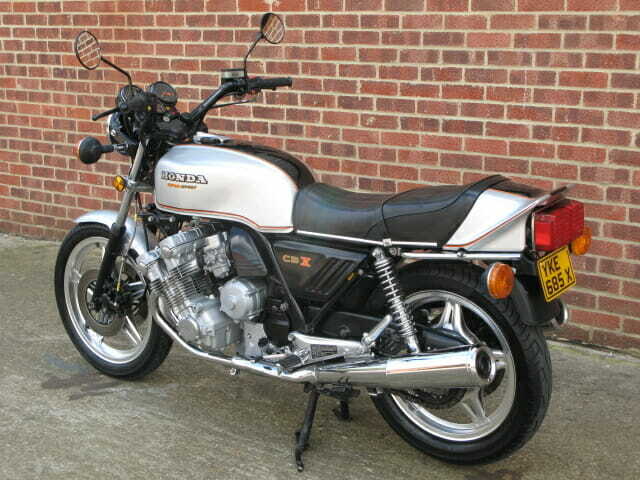 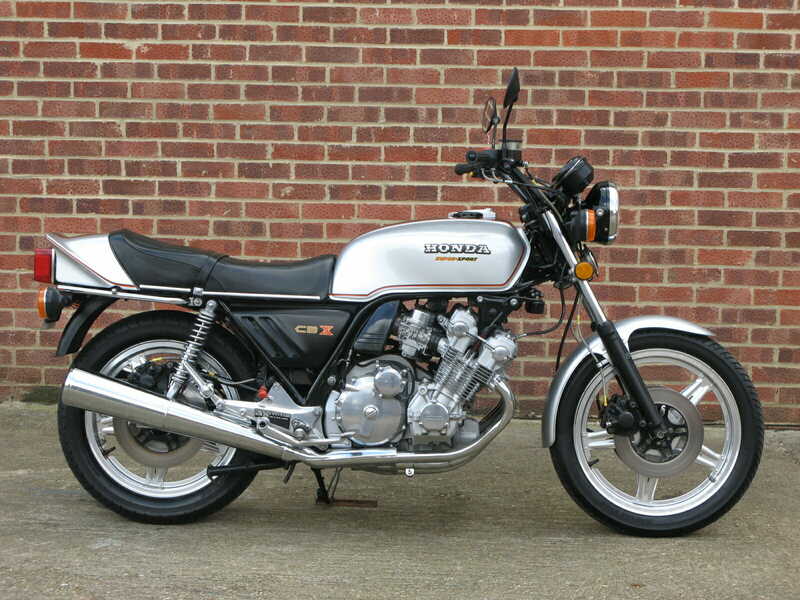 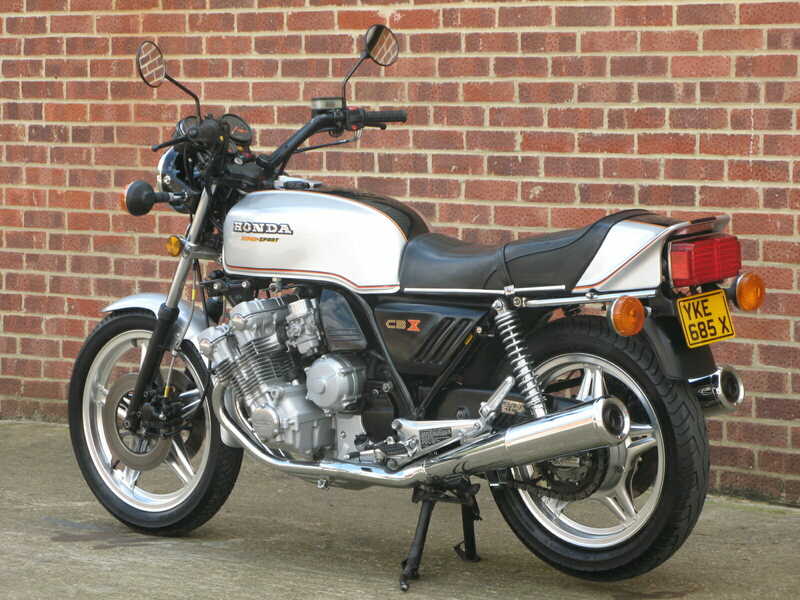 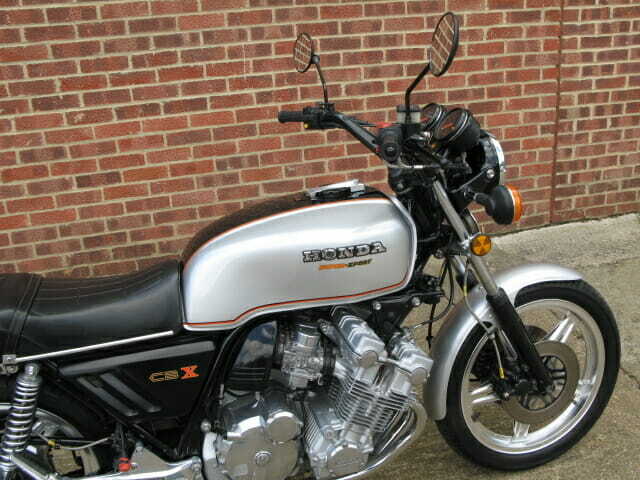 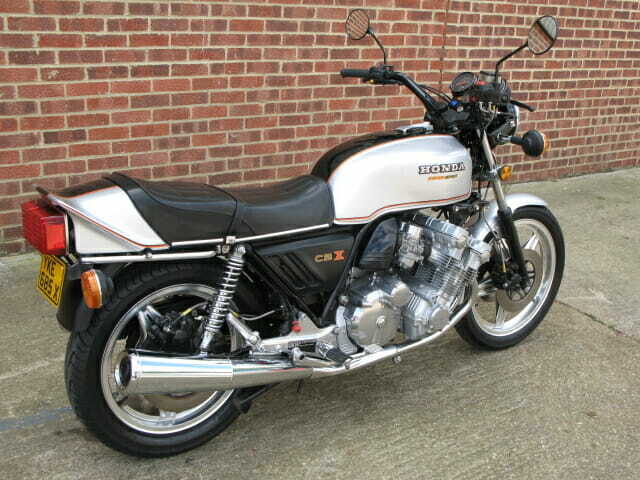 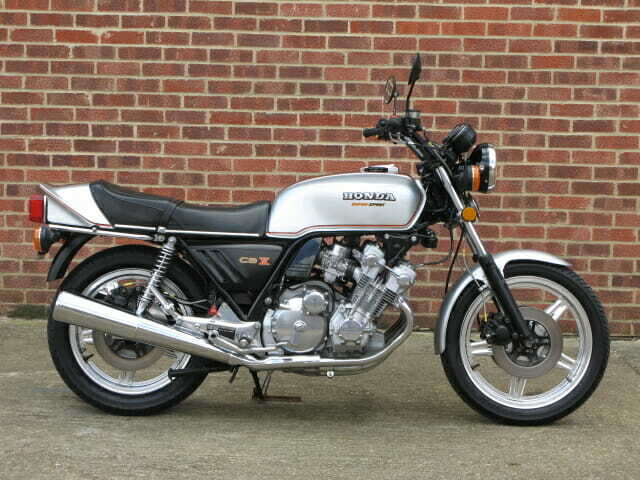 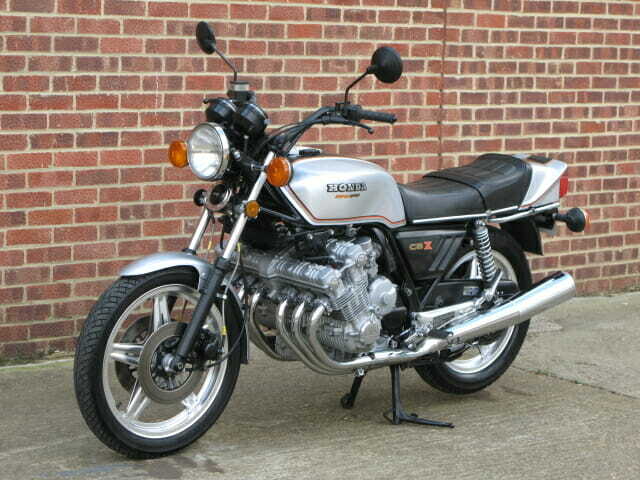 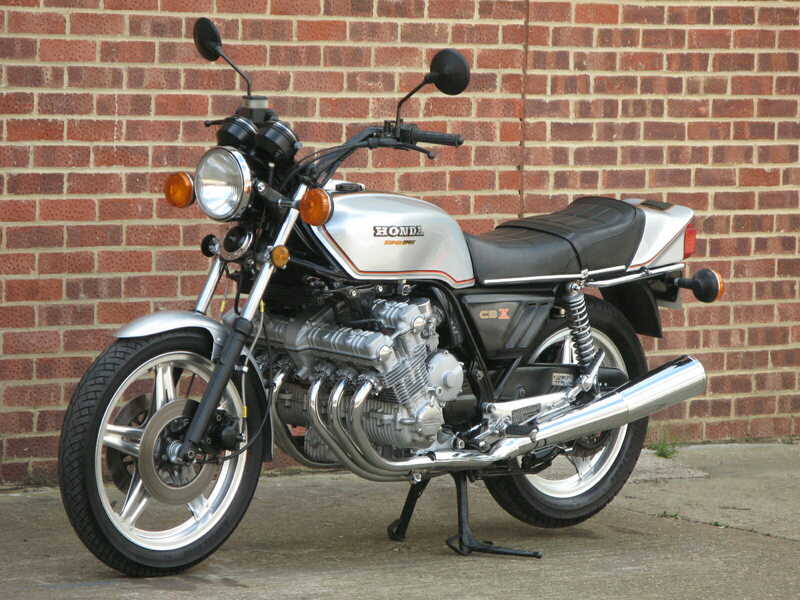 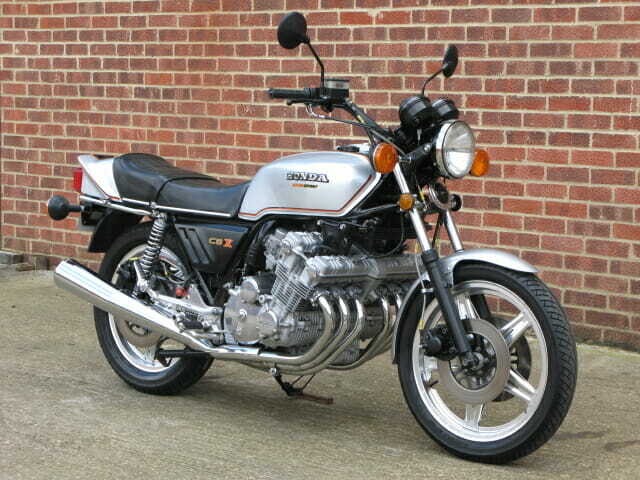 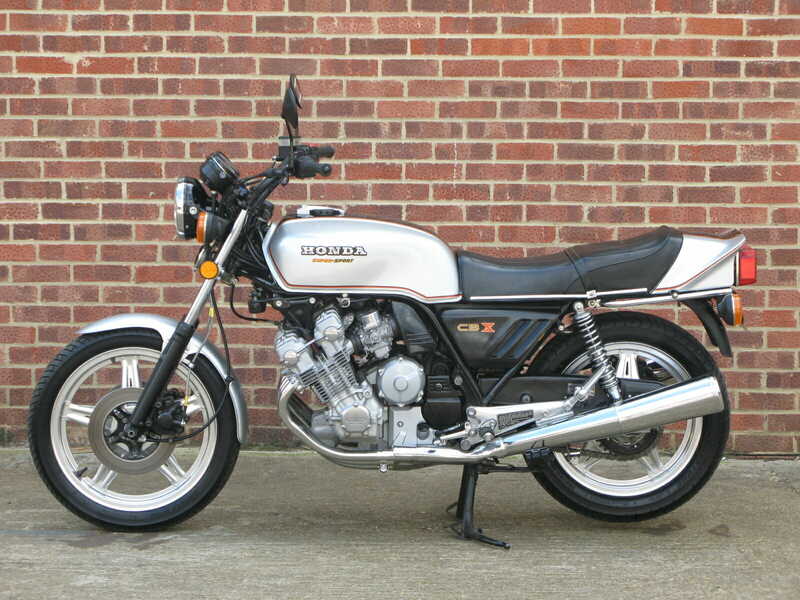 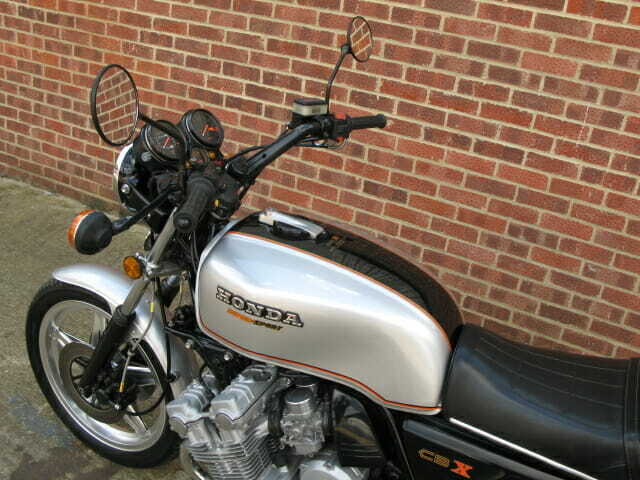 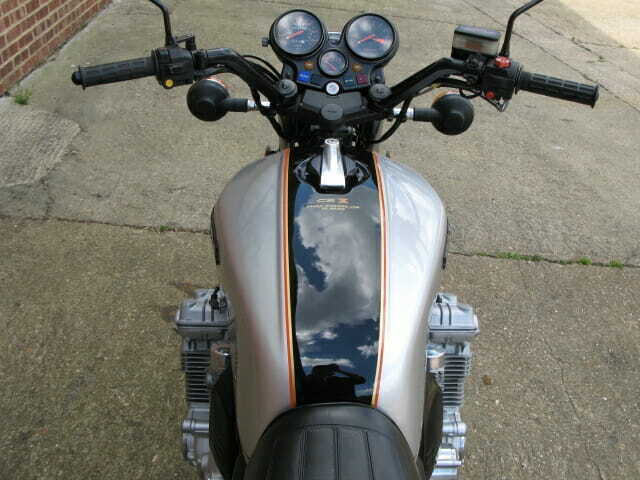 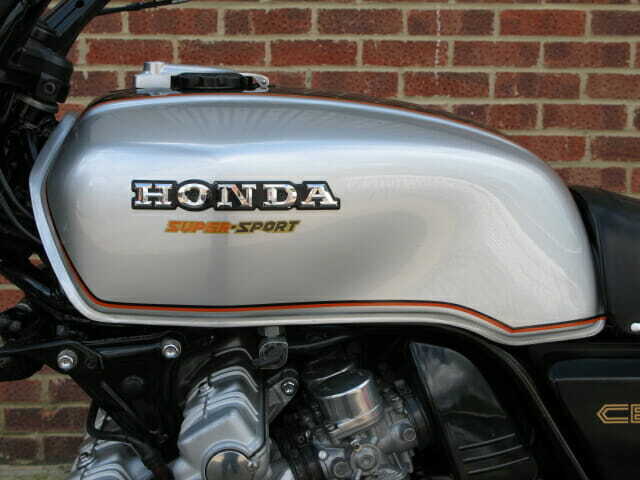 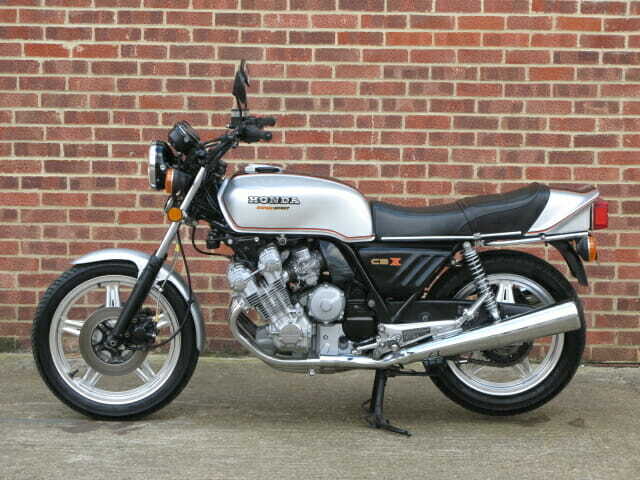 Declared manufactured 1979 this North American market CBX was imported from Canada and re registered in the UK in 1982. 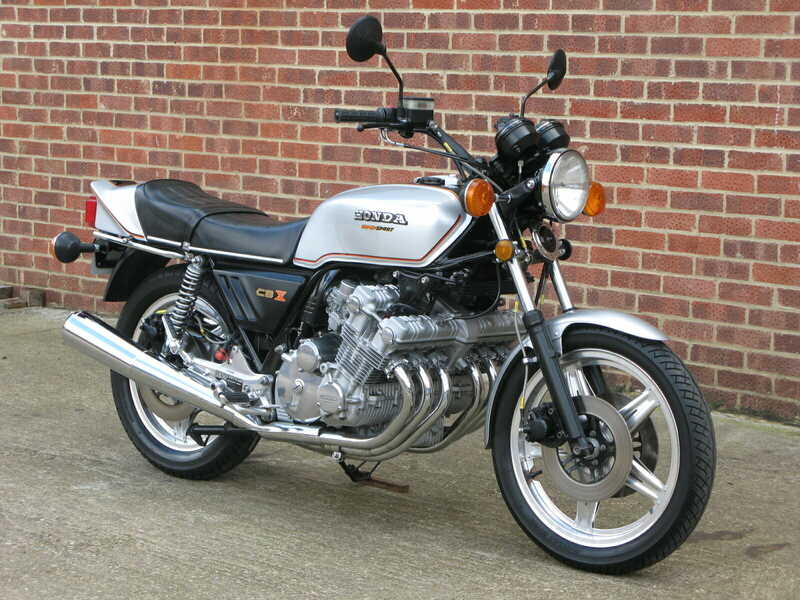 Old MoT’s with the bike that go back to 1994 show the milage then at just 1,032, subsequent certificates now show a genuine 5,445 miles from new. 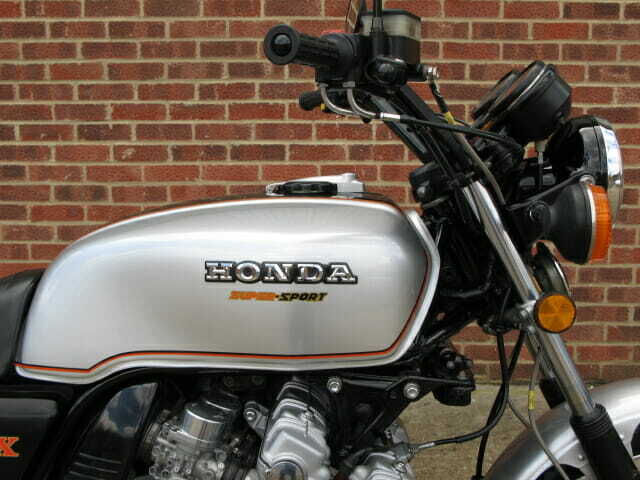 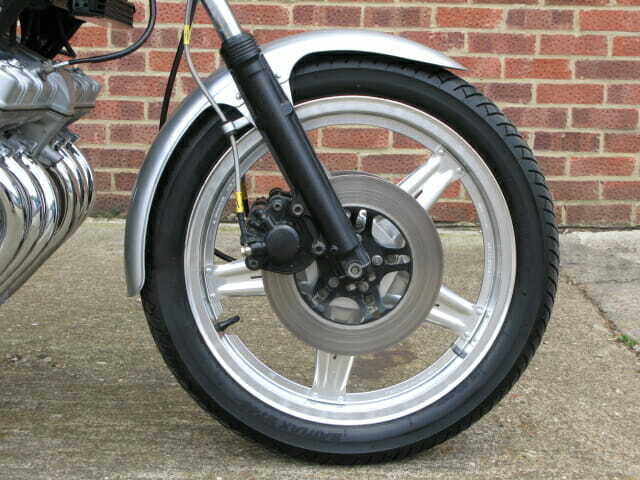 Having been part of a large and prestigious private motorcycle collection this immaculate example has been maintained at a ‘no expense spared’ cost. 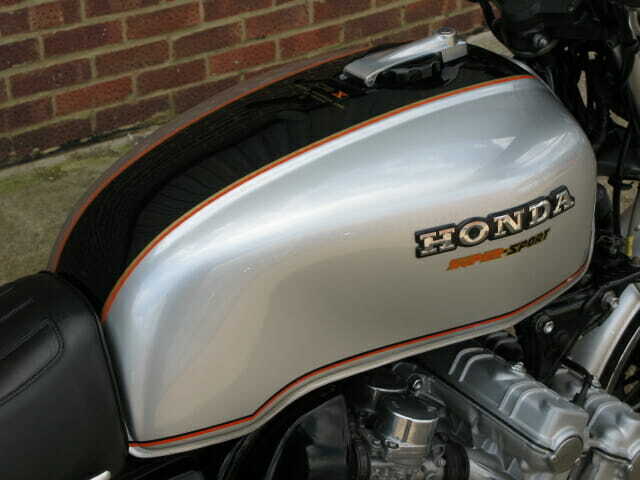 The original exhausts which are prone to corrosion were replaced last year for a pattern Delkevic system, but the original is also suppled, as well as a good history file showing regular maintenance and service intervals, the last full service being performed April 2017. 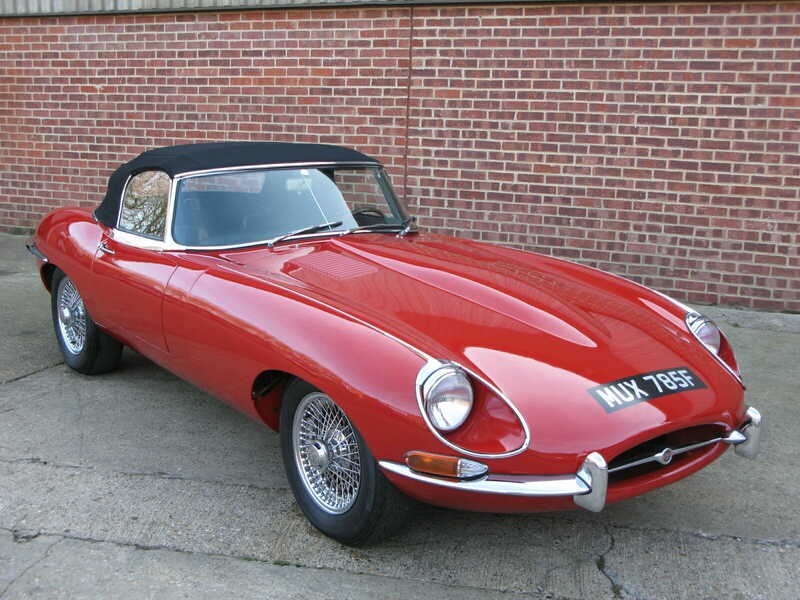 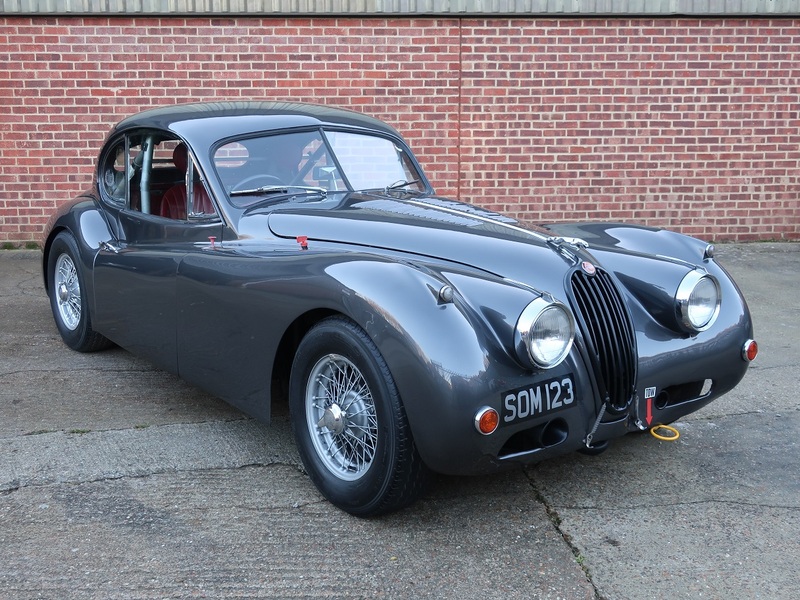 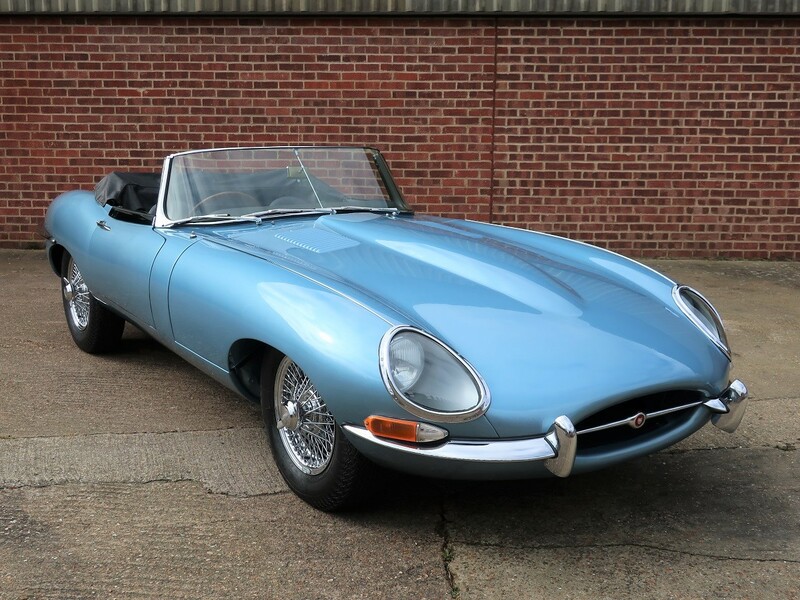 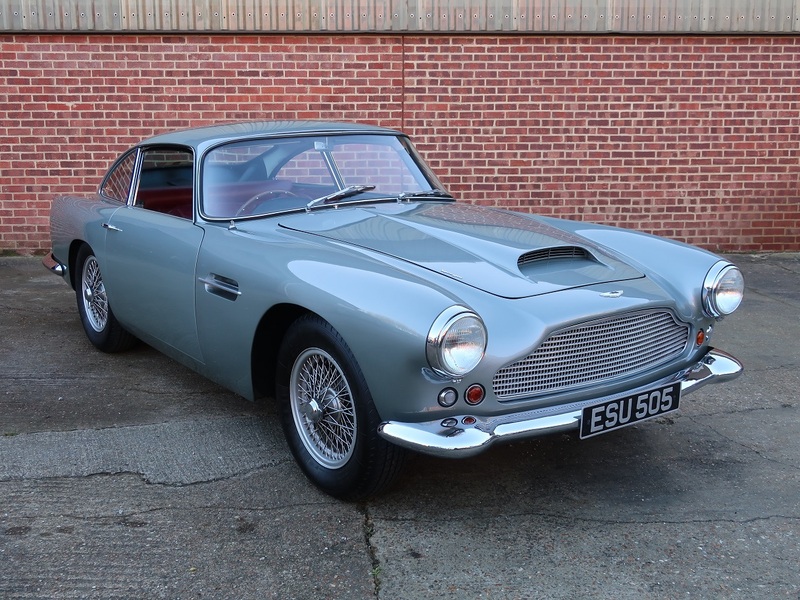 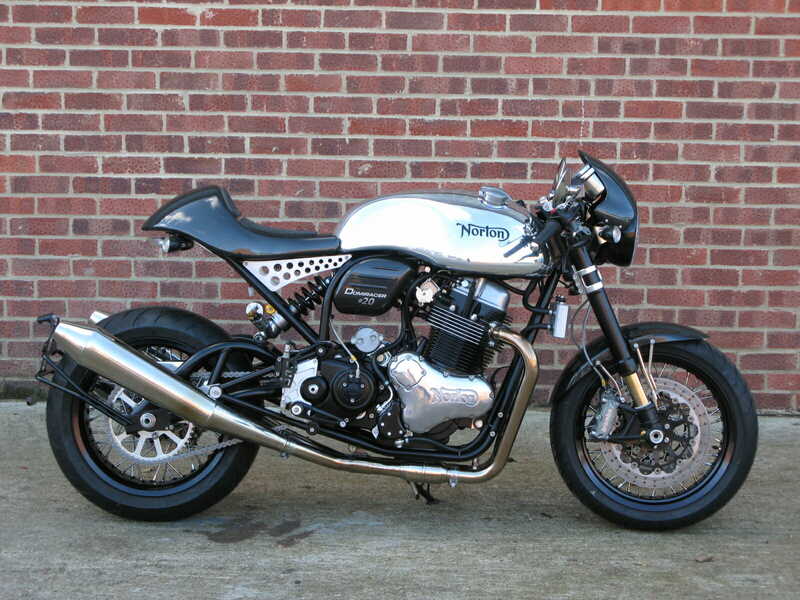 This is without doubt one of the finest examples to be currently offered. 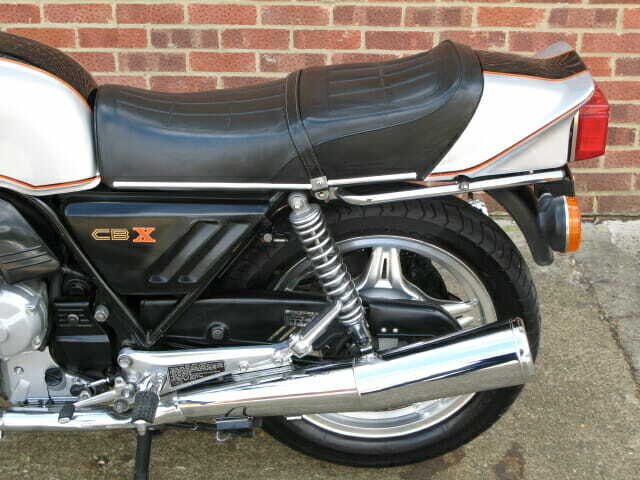 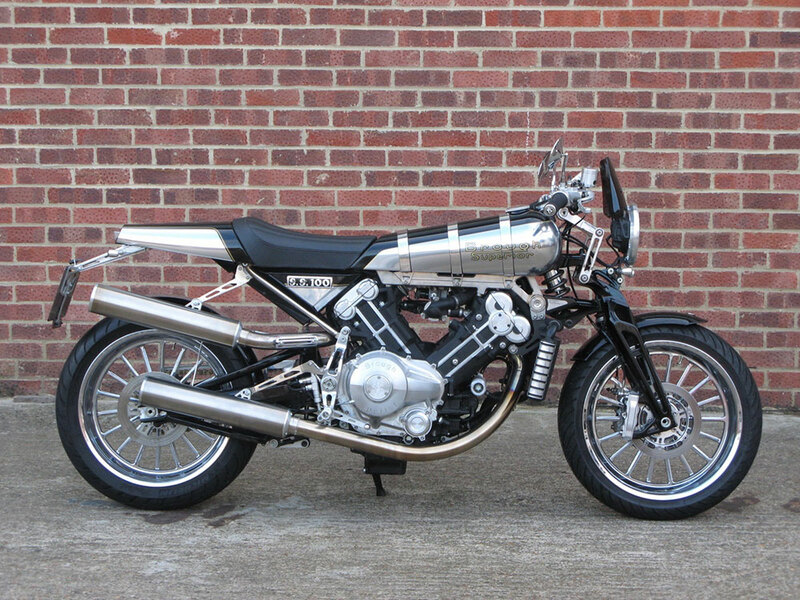 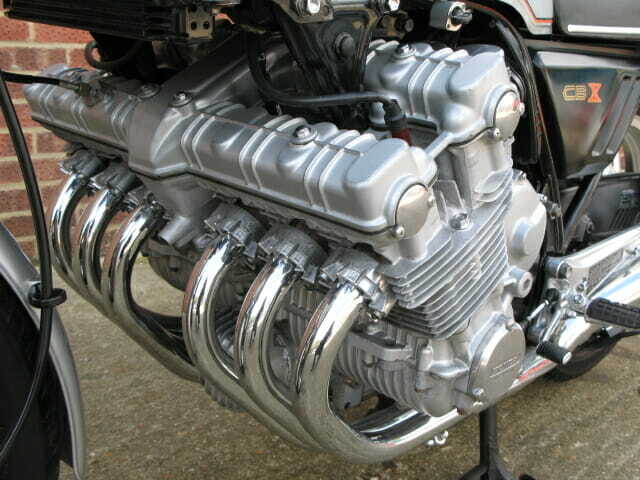 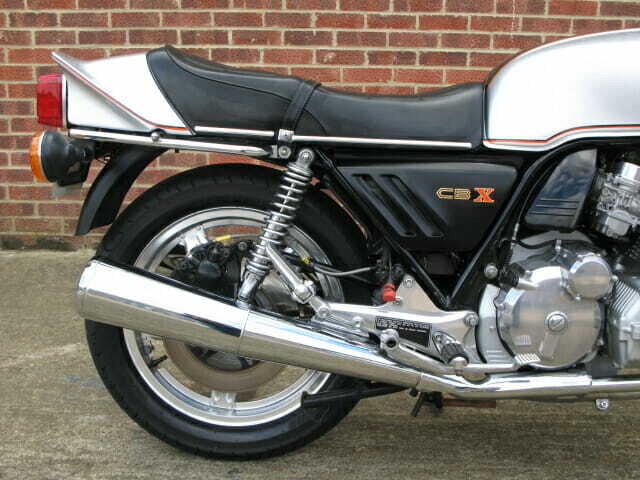 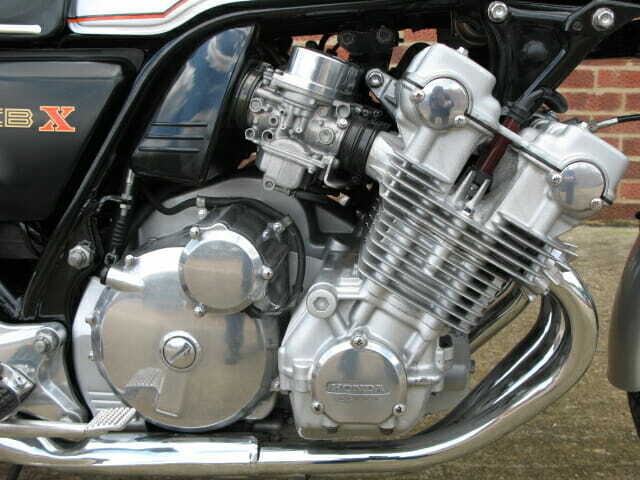 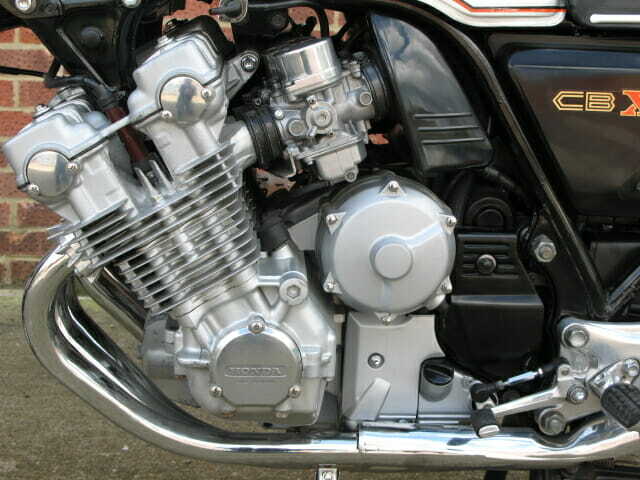 The six cylinder 1057cc CBX is a true icon of the 1970‘s, its monstrous excesses will never be repeated and even compared to the contemporary bikes of its age it truly stands well above the crowd which is why these early original design twin shock models are becoming very desirable and highly collectable today.